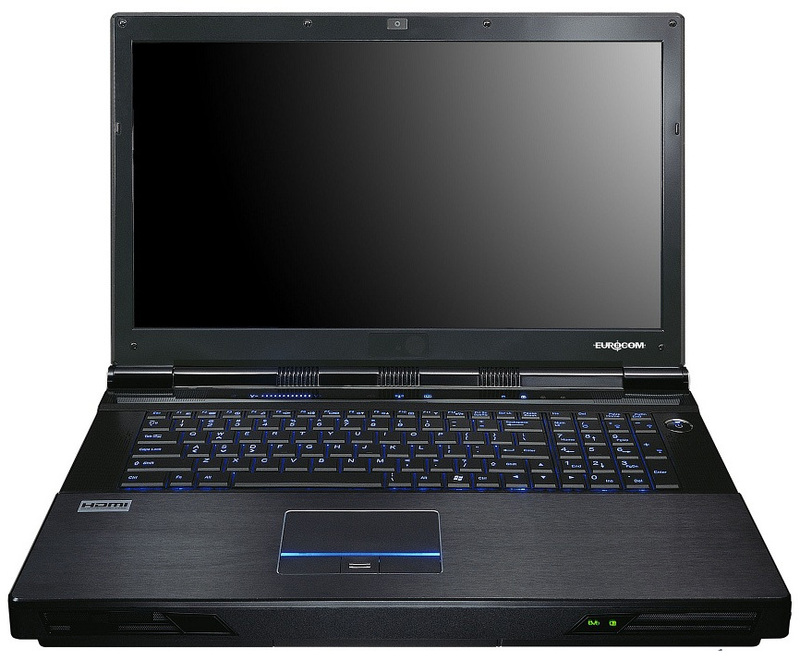 Clevo was the first in line to release Sandy Bridge E based laptop a couple of days ago, which naturally means that all the usual suspects that use Clevo's chassis are coming out of the woodworks as well; say hello to the Eurocom Panther 4.0 and Maingear Titan 17. Dimensions (WxDxH) 16.8" x 11.4" x 2.5"
Specification wise, the Panter 4.0 is similar to Clevo's P270WM. The biggest difference is that Eurocom offers more graphics choices and the possibility for a fourth hard drive instead of an optical drive. Eurocom also supports 16GB SO-DIMMs, though pricing for such modules is extremely high right now. There is also an option for 120Hz 3D display which is something that the Clevo does not currently list. 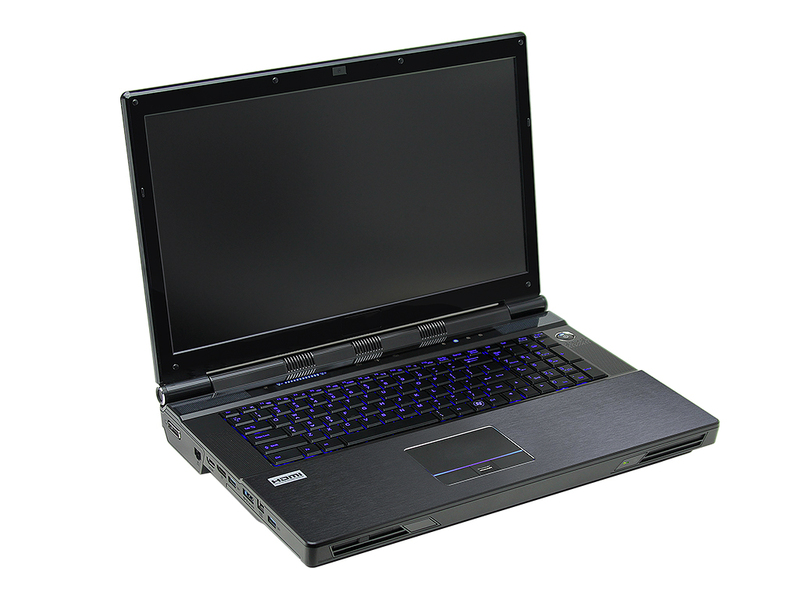 Unfortunately Eurocom has not revealed pricing so it's hard to say if Panther 4.0 is a better buy than Clevo P270WM, which is priced at $3122. If the past is any indicator, Eurocom will likely have a price premium as they like to target the Mobile Workstation market, which requires additional testing/validation on their end. Dimensions (WxDxH) 16.5" x 11.3" x 2.4"
The Titan 17 follows the same pattern as Panther 4.0 and P270WM. Compared to Panther 4.0, there are fewer graphics options but the 3D display is still available, although Titan 17 loses one USB 3.0 when compared with the Clevo and Eurocom (which is probably just an error on their spec sheet, since all three notebooks use the same chassis). Price wise, Titan 17 is a couple hundreds more expensive than a similarly configured Clevo P270WM. Of course, things like support and warranty are important when buying such an expensive system, so while Clevo is cheaper it isn't necessarily a better buy. We are working to get one of these behemoths in for review to see how they fare in actual use. If you need the most performance you can pack into a notebook, these SNB-E based offerings should fit the bill. Hopefully the issues with overloading the power brick on the X7200 have been addressed with this round of updates. These are six core processors and there won't be any of those as part of the Ivy Bridge launch, as mentioned in the article these are aimed at mobile workstation use where the applications are more likely to be optimised for the additional cores. Ivy Bridge won't do much for the CPU performance. The clock speeds are pretty much the same (100-200MHz bumps), we won't see +4GHz. Clock for clock performance seems to be up by around 10% if early benchmarks are to believe. That won't make IVB as fast as hex-core SNB-E given the clocks of SNB-E.
Why? Why do companies keep putting a toddler sized touchpad on these gigantic notebooks?